You're going to love our new Buttermilk Crispy Tenders. Expertly crafted by the McDonald’s culinary team, and made with 100% white meat chicken and no artificial flavors, colors or preservatives, Buttermilk Crispy Tenders are seasoned, battered and breaded to perfection. But, let’s really talk tender… we know they’re even better with sauce. We’re introducing an all-new Signature Sauce to perfectly pair with them. Ready to celebrate? We're giving away 1,000 limited-edition, hand numbered, screen-printed posters for all 10 sauces in our legendary lineup—including Szechuan Sauce. That's right, collectible art, worthy of the pop-culture status fans have given their favorite sauces. 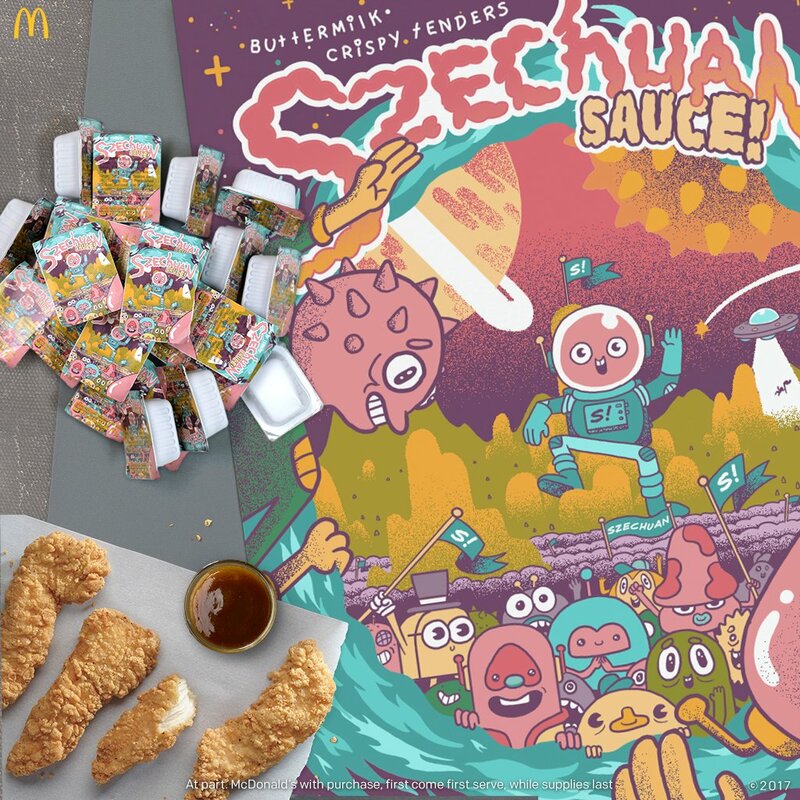 On Oct 7, together with the collectible sauce-themed posters, we’re also giving away a one-time only, limited-edition, run of Szechuan Sauce in select restaurants. And when we say limited, we mean really, really limited! Click below to find out which restaurants will be giving away* the posters, and the select few of those that will also have the Szechuan Sauce on Oct 7. So mark your calendars. It's time to show your flavor. Your passion. Show… you’re Obsauced. This is either brilliant marketing or brilliant trolling... maybe both. The real genius behind this is from the creators of Rick & Morty who made this sauce part of its Season 3 opening episode. is the sauce any good? what's the point of having it only available on one day unless most people don't like it? color me confused here haha.